Whenever I think crispy squid, I think about beer. However this is also great with meals! 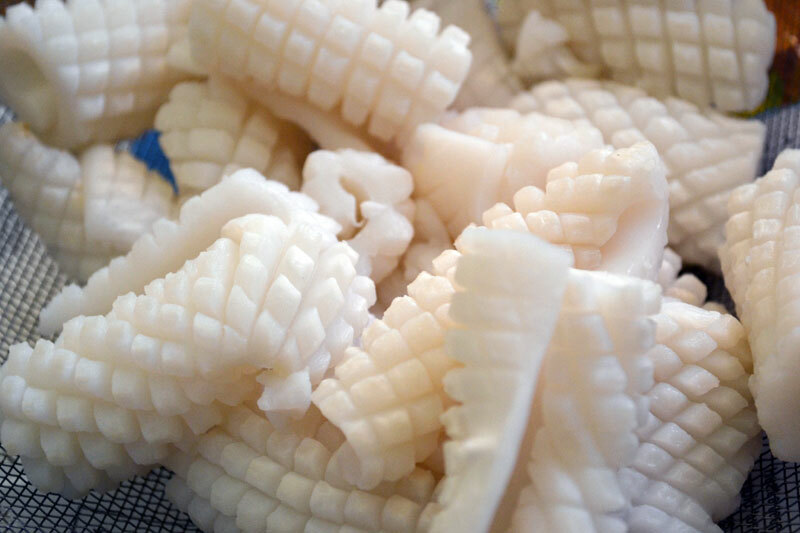 Squid is not your run-of-the-mill seafood, and people may be put off serving this as it is not exactly fish, and if bought fresh, they may not know how to clean it. But squid can now be bought cleaned, nicely-cut, and frozen from the supermarket. This is what we used and it's really good. Of course, you can always opt for the fresh one as well. Traditionally, squid rings are used but you can also use other cuts. 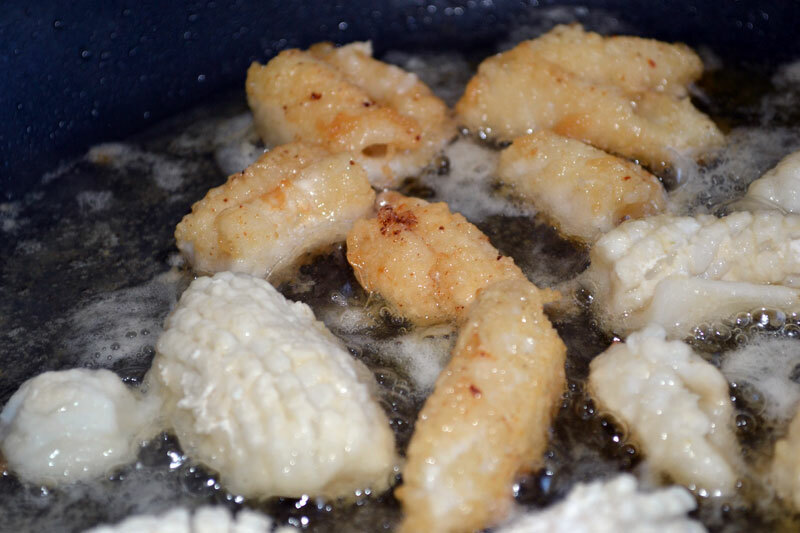 Essentially, the squid becomes crispy due to the batter or coating, which in our case is simply plain flour. But surely you also can't go wrong with tempura batter! 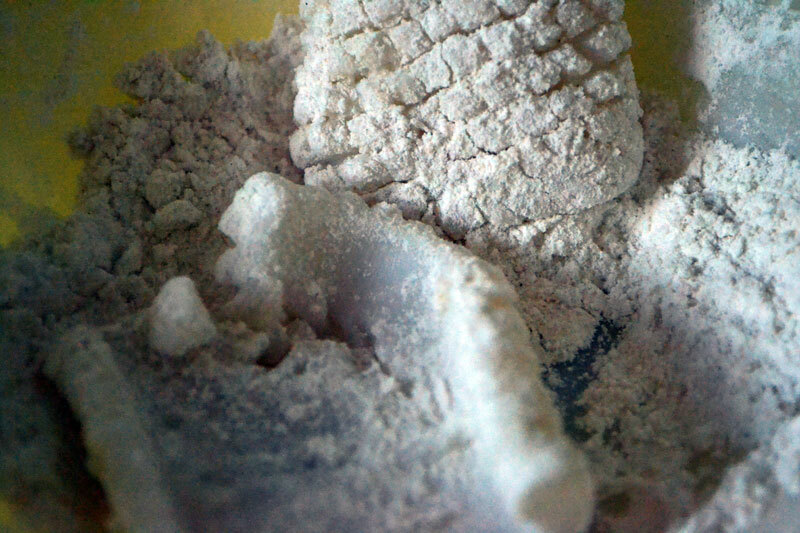 We were running short of time though, so we opted for just plain flour and the result was yummy just the same. It was finished off long before the meal was over. Heat up oil over medium heat in a thick-bottomed pan. The oil level should be able to submerge the squid pieces halfway. Dredge the squid pieces with flour, making sure all sides are covered. The oil is ready when the surface is shimmering. 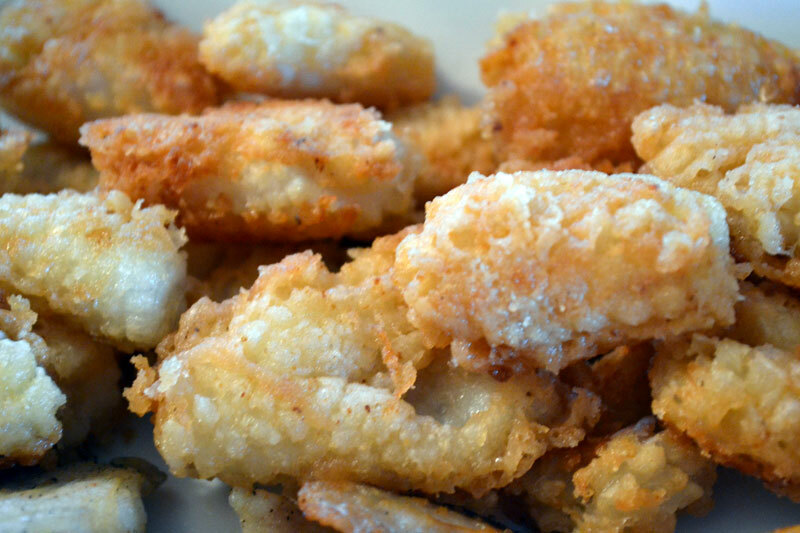 Fry the flour-coated squid pieces until light brown. Fry also the opposite side. Serve warm, with lemon wedges on the side. Mayonnaise is also a popular dip.